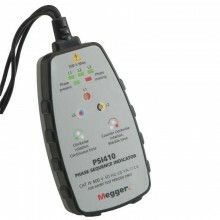 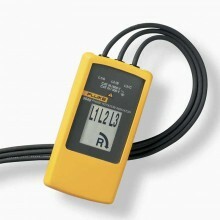 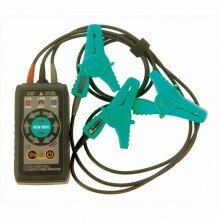 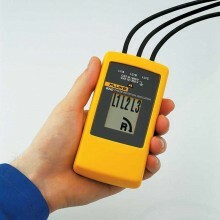 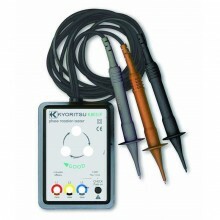 Includes: 135012 phase rotation meter, case and instructions. 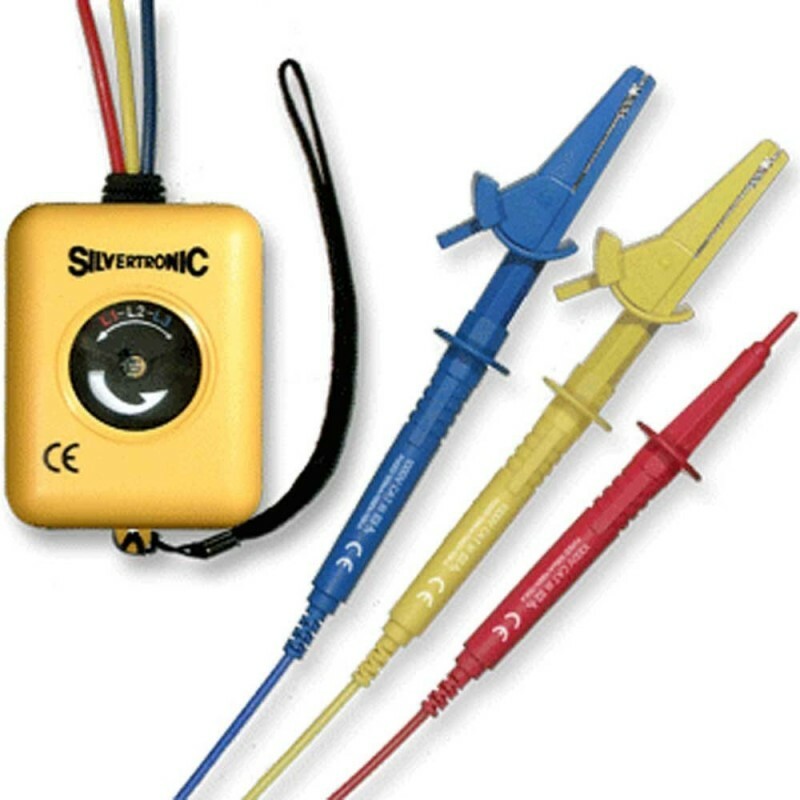 Silvertronic confirm that the products listed have been designed, manufactured and tested to and are therefore fully compliant to IEC61010-031:2002. 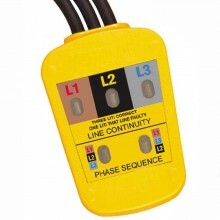 For Use In The Installation and Operation Of 3 Phase Equipment. 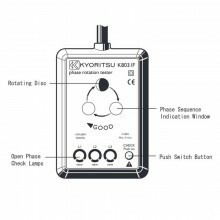 Easy To See Rotating Disc Indicating the Phase Sequence. 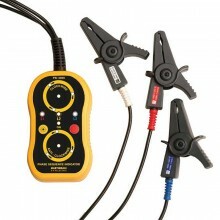 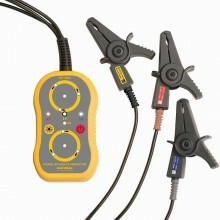 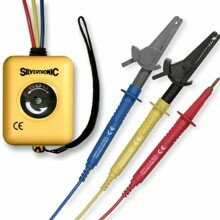 Fitted With Silvertronic GS 38 Fused Leads As Standard. 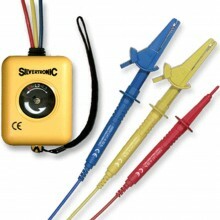 Robust Housing Incorporating Wrist Strap. 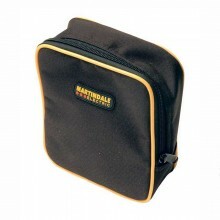 Supplied In Own Carry Case. 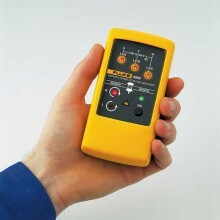 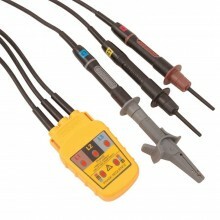 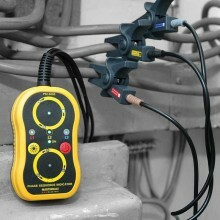 Measurement Category 1000V CAT III/600V CAT IV. 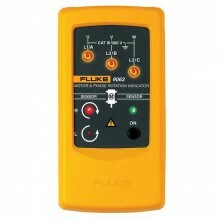 Current Rating As Per Fuse. 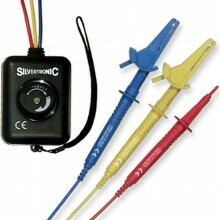 Silvertronic 135012 warranty One year. 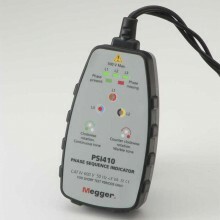 PDF Specifications of the Silvertronic 135012 Anti-Clockwise Phase Rotation Tester.